The Spheres announce the double-LP reissue of Current 93's classic Soft Black Stars. Originally released in 1998 in a vinyl edition of just 2000 copies, and on CD, this is the first official vinyl reissue. Remastered by The Bricoleur, this album contains all the released versions of the album's final track, "Chewing On Shadows" -- the original album track, as well as the two different versions used on the expanded CD release of 2004. 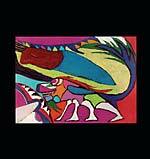 Comes in a full-color sleeve, reproducing the original paintings by David Tibet, and a two-sided full-color insert. Sold out, repress forthcoming March/2019... The Light Is Leaving Us All is more music from Current 93, everyone's favorite hallucinatory cuneiform super-group. Three years in the making, The Light Is Leaving Us Allcontain spells within its eleven tracks. C93 are possibly, probably, certainly perhaps: Alasdair Roberts, Aloma Ruiz Boada, Andrew Liles, Ben Chasny, David Tibet, Michael J. York, Ossian Brown, Reinier van Houdt, Rita Knuistingh Neven, and Thomas Ligotti. Remember, remember, your future cartoon is as soft as the tarot! Gatefold sleeve, with insert containing all lyrics and credits. The Stars On Their Horsies is not the new Current 93 album, just a lateral peek into her sidereal creek. This 39-minute CD contains only one track. Textually based around two nightmares David Tibet had recently, of which he recorded accounts of as soon as he woke from them in the middle of the night road, The Stars On Their Horsies may be seen as a sideshow peek, or perhaps a gas station carnival, and a slide into October's new Current 93 album. 2018 repress. 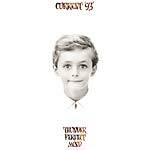 Reissue of Current 93's seminal double album from 1992, Thunder Perfect Mind. Newly and perfectly remastered by The Bricoleur, this reissue comes with a new face to the old sleeve designed by Ania Goszczyńska. Comes on transparent purple vinyl and includes a four-page lyric insert. This reissue marks the first time that Thunder Perfect Mind has been available on vinyl since its first pressing in 1992. Coptic Cat present a reissue of Current 93's BaalStorm, Sing Omega, originally released in 2010. Spinning in the Baalstorm as Current 93 were and weren't: Eliot Bates, James Blackshaw, John Contreras, Baby Dee, Andrew Liles, Melon Liles, Alex Neilson, Bea Taylor, Isabel Taylor, and David Tibet. Includes a four-page 12" booklet with photos of the band and lyrics; Color sleeve with artwork by David Tibet; Edition of 500. Current 93, who were "As Cool As Llies" and "As Real As RainBows", are now "As Perfect As Planets": Eliot Bates, Baby Dee, Andrew Liles, Lisa Pizzighella, Armen Ra, and David Tibet. Black and white sleeve with artwork by David Tibet and contains a two-sided black and white insert with all the lyrics and photos of the C93 family. Comes on gold vinyl; Edition of 500. 200-gram 12" version in deluxe heavy-duty sleeve. "When the May Rain Comes" is a cover of a track by German trio Sand, whose work has had a profound effect on David Tibet's work. The track first appeared on Current 93's influential 1992 album Thunder Perfect Mind. It appears here with an alternate version of the same track, originally released as a CD single accompanying the first 1000 copies of Ultrasonic Seraphim (1996), David Tibet and Steven Stapleton's collection of material by Sand. Current 93 is David Tibet's eclectic, idiosyncratic, hallucinatory, apocalyptic artistic project, begun in 1982. David Tibet is the only person permanently present in the group, although Steven Stapleton of Nurse With Wound, whom David met in 1983 at London's Equinox Event, has appeared on virtually all of Current 93's releases. David Tibet has worked with many individuals since he formed Current 93, including Michael Cashmore, Steve Ignorant (Crass), John Balance (Coil), Nick Cave, Marc Almond, Antony Hegarty, Sebastian Horsley, Andrew W.K., Rickie Lee Jones, Shirley Collins, and Bonnie "Prince" Billy. Current 93 has many faces, but has always primarily reflected David Tibet's beliefs and obsessions. His vision continues to grow increasingly personal and intense, inspired by his translations of non-canonical Coptic and Gnostic texts. Other important influences upon his work have been the New Testament, the works of Count Stenbock, cats, the Kabbalah, seahorses, and Birdsong in the Empire. Cover painting by Babs Santini. "When the May Rain Comes" is a cover of a track by German trio Sand, whose work has had a profound effect on David Tibet's work. The track first appeared on Current 93's influential 1992 album Thunder Perfect Mind. It appears here with an alternate version of the same track, originally released as a CD single accompanying the first 1000 copies of Ultrasonic Seraphim (1996), David Tibet and Steven Stapleton's collection of material by Sand. 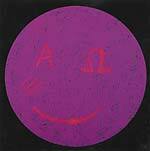 Current 93 is David Tibet's eclectic, idiosyncratic, hallucinatory, apocalyptic artistic project, begun in 1982. David Tibet is the only person permanently present in the group, although Steven Stapleton of Nurse With Wound, whom David met in 1983 at London's Equinox Event, has appeared on virtually all of Current 93's releases. David Tibet has worked with many individuals since he formed Current 93, including Michael Cashmore, Steve Ignorant (Crass), John Balance (Coil), Nick Cave, Marc Almond, Antony Hegarty, Sebastian Horsley, Andrew W.K., Rickie Lee Jones, Shirley Collins, and Bonnie "Prince" Billy. Current 93 has many faces, but has always primarily reflected David Tibet's beliefs and obsessions. His vision continues to grow increasingly personal and intense, inspired by his translations of non-canonical Coptic and Gnostic texts. Other important influences upon his work have been the New Testament, the works of Count Stenbock, cats, the Kabbalah, seahorses, and Birdsong in the Empire. Cover painting by Babs Santini. CD in six-panel digipak. 200-gram purple and white 12" version in deluxe heavy-duty sleeve. "When the May Rain Comes" is a cover of a track by German trio Sand, whose work has had a profound effect on David Tibet's work. The track first appeared on Current 93's influential 1992 album Thunder Perfect Mind. It appears here with an alternate version of the same track, originally released as a CD single accompanying the first 1000 copies of Ultrasonic Seraphim (1996), David Tibet and Steven Stapleton's collection of material by Sand. Current 93 is David Tibet's eclectic, idiosyncratic, hallucinatory, apocalyptic artistic project, begun in 1982. David Tibet is the only person permanently present in the group, although Steven Stapleton of Nurse With Wound, whom David met in 1983 at London's Equinox Event, has appeared on virtually all of Current 93's releases. David Tibet has worked with many individuals since he formed Current 93, including Michael Cashmore, Steve Ignorant (Crass), John Balance (Coil), Nick Cave, Marc Almond, Antony Hegarty, Sebastian Horsley, Andrew W.K., Rickie Lee Jones, Shirley Collins, and Bonnie "Prince" Billy. 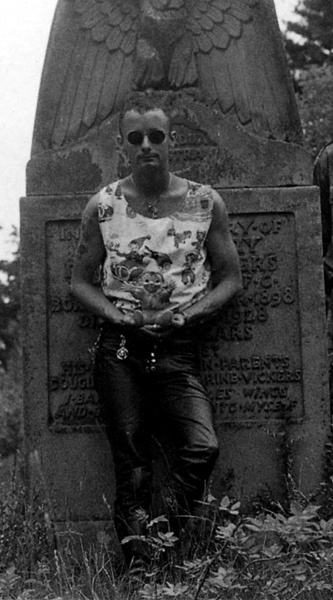 Current 93 has many faces, but has always primarily reflected David Tibet's beliefs and obsessions. His vision continues to grow increasingly personal and intense, inspired by his translations of non-canonical Coptic and Gnostic texts. Other important influences upon his work have been the New Testament, the works of Count Stenbock, cats, the Kabbalah, seahorses, and Birdsong in the Empire. Cover painting by Babs Santini. 180-gram purple 12" version in deluxe heavy-duty sleeve. "When the May Rain Comes" is a cover of a track by German trio Sand, whose work has had a profound effect on David Tibet's work. The track first appeared on Current 93's influential 1992 album Thunder Perfect Mind. It appears here with an alternate version of the same track, originally released as a CD single accompanying the first 1000 copies of Ultrasonic Seraphim (1996), David Tibet and Steven Stapleton's collection of material by Sand. 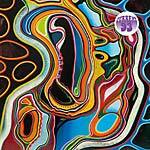 Current 93 is David Tibet's eclectic, idiosyncratic, hallucinatory, apocalyptic artistic project, begun in 1982. David Tibet is the only person permanently present in the group, although Steven Stapleton of Nurse With Wound, whom David met in 1983 at London's Equinox Event, has appeared on virtually all of Current 93's releases. David Tibet has worked with many individuals since he formed Current 93, including Michael Cashmore, Steve Ignorant (Crass), John Balance (Coil), Nick Cave, Marc Almond, Antony Hegarty, Sebastian Horsley, Andrew W.K., Rickie Lee Jones, Shirley Collins, and Bonnie "Prince" Billy. Current 93 has many faces, but has always primarily reflected David Tibet's beliefs and obsessions. His vision continues to grow increasingly personal and intense, inspired by his translations of non-canonical Coptic and Gnostic texts. Other important influences upon his work have been the New Testament, the works of Count Stenbock, cats, the Kabbalah, seahorses, and Birdsong in the Empire. Cover painting by Babs Santini. Limited repress. Reissue of Current 93's seminal and liminal 1986 album Swastikas for Noddy, including the 1987 re-recording of the album, Crooked Crosses for the Nodding God. Packaged in a full-color gatefold bearing the original artwork plus a previously-unpublished photograph of Current 93 by Ruth Bayer, tinted by Ania Goszczyńska. Includes insert with track listing, group line-up, and a photograph of Current 93 at the time of the recording, again by Ruth Bayer. One record is opaque green; the other is opaque lilac. Swastikas for Noddy has been unavailable on vinyl since 1987. Crooked Crosses for the Nodding God has never been available on vinyl. Both have been beautifully remastered by the bricoleur. "Sleep Has His House, originally released in 2000, has become one of Current 93's most enduring releases. The album features David Tibet on harmonium and vocals, as well as Michael Cashmore on guitar. The mood is sombre and contemplative, culminating in the epic title track which was inspired by the death of Tibet's father." "In June of 2004, Current 93 performed three sold-out shows in Toronto, Canada. This double-CD set presents two of these nights in their entirety. As this was their first ever performance in Canada, each night was radically different and featured many rarely performed songs from across the C93 catalog. For this event, the band was comprised of David Tibet, Michael Cashmore, John Contreras and Graham Jeffrey." 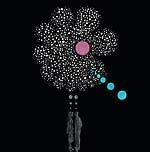 "Hypnagogue was originally released as a limited EP in 2003 and has been out of print since. This new release, which comes in a full colour digipack with booklet, includes the original and adds a newly recorded version of the piece. The original featured David Tibet reading from the book of the same name with musical accompaniment by Maja Elliott on piano. The new version features a sublime orchestral arrangement by Michael Masley." "The first of a comprehensive reissue series of the Durtro and United Dairies catalogue, concentrating almost exclusively on the work of the legendary English bands Current 93 and Nurse With Wound, Halo is a live album featuring the entire set performed by the expanded line-up of Current 93 (David Tibet, vocals; Michael Cashmore, guitar and bass; Maja Elliott, piano; Joe Budenholzer, guitar; Graham Jeffery, piano; Joolie Wood, violin, whistle and recorder; John Contreras, cello; Karl Blake, voice; Finn Sands: voice) at their sold-out concert at the Queen Elizabeth Hall at London's South Bank center on October 9, 2003; it is David Tibet's personal favorite of all the live Current 93 albums."